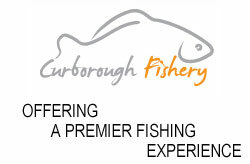 This popular fishery is of interest to pleasure and match anglers alike. 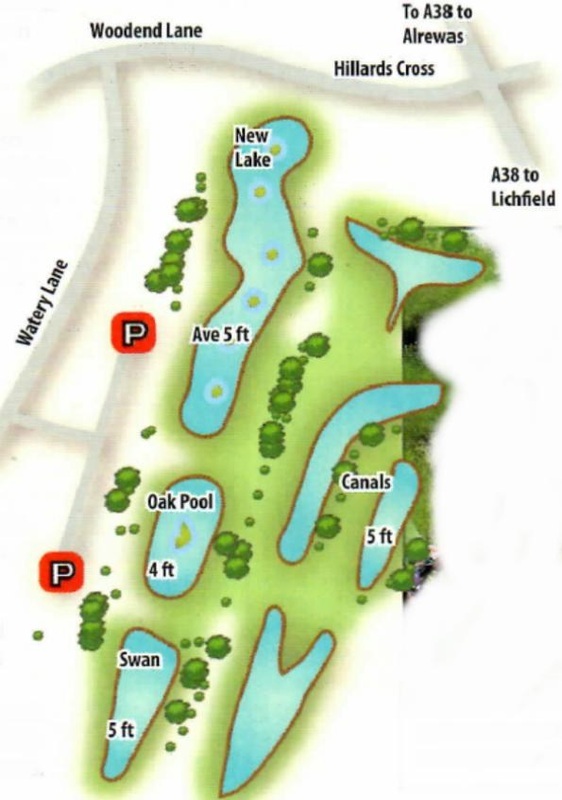 There's a choice of four waters to fish, the largest being the New Lake.The others are the Oak Lake, Swan Lake and the Canals. Stocks are quite similar in all with carp to 15 lb, some golden orfe to 5 lb, tench to4 lb, chub to 3 lb, F1s to 2 lb, the brightest goldfish you have ever seen with some topping 1 lb, plus roach rudd and others. The Oak pool is a favourite with the pleasure angler. Carp are the predominant species here although you'll find a mixture of other species. Sizes average around the 5lb mark, although don't be surprised if you hook into the odd monster! Oak has 20 pegs with the depths varying from 3 to 6 feet ideally suited for a variety of styles including pole, waggler and feeder. match weight. The pool is well stocked and holds a mixture of carp, bream, tench and brown goldfish. You can catch anything from 6inch to 15lbs. Swan has 21 well - spaced pegs with an average depth of around 5 feet. A busy day awaits you; with match weights topping 170lbs. Pole fishing works the best, with successful baits including pellet, corn maggot and paste. The canal is a haven for the pole angler. The pool has a wide variety of fish with carp, f1 carp, tench, goldfish, golden orfe, chub, roach, rudd, and perch with only a matter of ounces between match weights. With 50 comfortable pegs, the goldfish here make this pool fish well even in the coldest of months. Pole fished pellet works well here. The new lake is the largest of our fishing pools. Carp are the main species, although a large head of brown goldfish can lead to 100lb match weights. 40 well - spaced pegs have the same depths of 3 feet with the margins shelving down to 6ft in the track. Matches are won mainly with pole fished pellet and corn. Owing to the excellent stocks here the fishing is not too difficult and you can catch on most baits as long as they are presented correctly. Soft pellet can score in the winter as well as summer another top bait is dead maggot. Generally floatfishing is best but there are days in the winter when a straight legered hair-rigged piece of corn or dead maggot will succeed. Fish the open water in the winter, try the margins or to any feature in the summer. Midlands byelaws. Traditional Close Season. All anglers must have their own landing net. All nets must be dipped in fishery dip before bringing them onto the fishery(no exceptions). Children under 15 must be supervised by an adult. All cars and cycles must be left in the car park at the owners own risk. Noise must be kept to minimum. Rude or aggressive behaviour will not be tolerated. No high oil/protein pellets, Carp pellets only. No Bread during summer months. Ground bait in a pole cup or feeder only. From Burton-Upon-Trent head towards Lichfield on the A38. When you reach Hilliards Cross turn right onto Woodend Lane. Follow this down and take the second left into Watery Lane.Turn left off Watery Lane to the Craft Centre and follow the signs to the fishery.